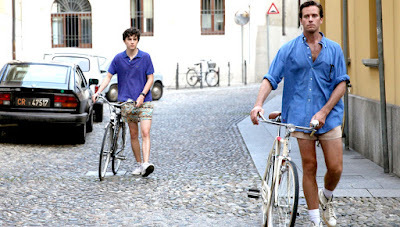 If there really is a such a thing as the Manic Pixie Dream Girl (or MPDG for those who simply can't abide saying full words) I can pretty much guarantee you that Wes Anderson will have at least one film in her Top 10. He's an auteur of the first degree, creating stylized portraits of family life in his films, and, more often than not, just creating stylized portraits frame by frame. If you can't tell, I'm a fan. I'm a fan of his dialogue, his color palette choices, his soundtracks and jealous beyond belief of his production designers and costumers/stylists. Over the course of 8 films, including his most recent release, The Grand Budapest Hotel, Wes Anderson has intricately crafted his own universe, filled with quirky personalities and settings that are saturated with both color and emotion. This may sound like an odd statement to make, considering many of the characters deliver lines with such deadpan precision as to belie any investment or passion in anything, and yet, just the opposite is true. Every single one of his characters contains an almost immeasurable amount of passion for whatever goal it is they've set out to reach. 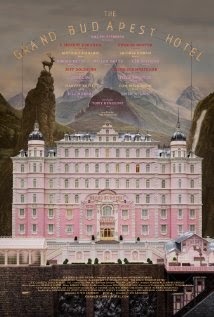 The Grand Budapest Hotel is no different, in that sense, but in many ways, this film, claimed by many to be the most Wes Anderson-iest (please, I know that's not a real grammatical thing, but just let me get away with it for the time being) has managed to reach such a pinnacle, in a way, by setting itself apart from his other films. The story begins, with the introduction of our narrator, played in older age by Tom Wilkinson and younger by Jude Law. Traveling back in memory and time with our narrator, to The Grand Budapest Hotel, the audience witnesses an interesting time paradox of sorts. We are in a flash back for the narrator, but witnessing the death of the once great hotel. While a patron at the hotel during the establishment's last gasping breaths, Jude Law's writer meets the enigmatic owner of the hotel Mr. Moustafa (the, literally, always wonderful F. Murray Abraham). Mr. Moustafa will be our guide into the further flashback, taking us back to a time when he was just a young man and the hotel was in the prime of its glory. Zero, the young Mr. Moustafa (newcomer Tony Revolori), is just an immigrant looking for steady compensation at the most prestigious hotel in this small mountain village, The Grand Budapest Hotel. Run with exacting tenacity and impeccable panache by Monsieur Gustave (a brash and charismatic Ralph Fiennes), the Grand Budapest is a sight to behold. M. Gustave not only has the time to run his hotel, managing every aspect of both the hotel's and the patrons' daily needs, but he also is quite the charmer and very popular with the clientele of elder females that seem to be drawn to the reliable accommodations. You see, these women, much like the hotel and M. Gustave himself, are clinging to a lifestyle that no longer really exists in the real world. A lifestyle of class and sophistication, wealth and established order; a lifestyle that is having its disappearance hastened by the near-constant threat of war. The Grand Budapest Hotel, for lack of a better term, is a safe house. All of that begins to come crumbling down when a reliable client, and favorite lover of Monsieur Gustave, is found dead. Gustave (and Zero by default) become entangled in the mystery of her death and the search for the truth, and perhaps a little bit of justice. While the almost-screwball comedy aspect of the film allows for a cameo appearance by nearly every one of Wes Anderson's fans' favorites, along with many new faces who, unsurprisingly, fit their roles in this separate little universe perfectly, there's more going on with The Grand Budapest Hotel than initially meets the eye. I stated in my introduction that Grand Budapest is both the pinnacle of Wes Anderson films and yet, separate from its predecessors. That's because, to me, much like Edgar Wright's The World's End, this film is the culmination of everything that came before it, but with an added layer of maturity that elicited a surprisingly emotional response from me. Anderson has never backed away from the darker side of life. Suicide, divorce, perhaps most prominently, death have always been themes of his films, as they are themes of everyday life, and yet, for me, despite its even brighter tones, Grand Budapest is both the darkest film yet, with perhaps the most resilient character, in Zero Mustafa. Perhaps that's the Anderson Equation: the brighter the color schemes, the darker the themes. It's as if he manages to use his color palettes to visually sugar-coat the emotional truths of the world so that, just a spoonful of sugar really does help the medicine go down. And that is perhaps a truer statement with this film than with any of his other works. As soon as Gustave and Moustafa depart the safety and confines of the almost hermetic Grand Budapest, they are besieged by the dangers and ill treatment of the real world. They are accosted by the soldiers of an impending war, accused of murder, forced on the run, Gustave is jailed, they plan an escape, and ultimately end up back at the hotel. However, it's almost as if, once they decide to set out on their journey, the magic of the hotel's spell has been broken. 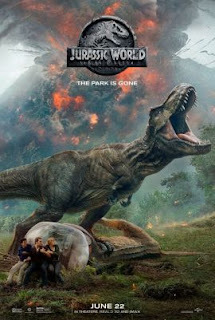 Nothing will ever be the way it was before, and it's as difficult a lesson to learn in this movie as it is in real life. Each character is memorable and gets their moment. Some of those moments will be forever etched in my memory, don't worry, you'll know them when you see them, but the heart of the film are the 3 loves of Moustafa's life: Agatha, M. Gustave and the Grand Budapest. Much like Dorothy from Oz had her totems: brains, heart and courage, Zero has the same. Only here, instead of a scarecrow, he has Gustave, instead of a tin man, he has Agatha and instead of a lion, he has his trusty old hotel. There's a moment at the end, when F. Murray Abraham's older Mr. Moustafa is finishing his tale, and informs the Jude Law's narrator of the loss of Agatha, the inevitable defeat of the wished-for happy ending, and it's heartbreaking. And yet, even knowing the outcome, much like the audience wouldn't take back watching the movie just because it didn't end they way one might expect it to, Zero doesn't regret the life that he has had, just because it didn't turn out the way he had planned. He got to be with Agatha, he got to know stability and purpose at the hotel, he found a mentor and father-figure in Gustave, all things that, if one thing had gone differently, might not have happened. However, even if we all know that looking for adventure beyond our own backyard only brings worries and trouble and possible tragedy, part of The Grand Budapest Hotel reminds us, that sometimes even when we don't go looking, those things find us anyway, because, well that's life; in the end, ourselves and our lives are all as delicate as Agatha's pastries, aren't we? But why not make it the most stylish of adventures while we're at it?